Are you ready to be inspired? This book contains amazing tales of extreme endurance from athletes around the globe. These aren’t pros or elites – these are everyday people who decided to step outside their comfort zone and attempt to achieve the extraordinary. You’ll get to read stories that include: – An amateur athlete’s emotional journey through his first 50 mile race. – An amazing weight loss journey that resulted in crossing the Ironman finish line with just 34 seconds to spare. – A heart that begins to fail during the heat of competition in an ultra-endurance event. – The 7 million steps of a Pacific Crest Trail adventure. – An HIV+ triathlete who defies the odds and keeps on competing. – The story of an epic 155 mile bicycle climb. – An office manager who runs the Inca Trail to Macchu Pichu. – And much more! 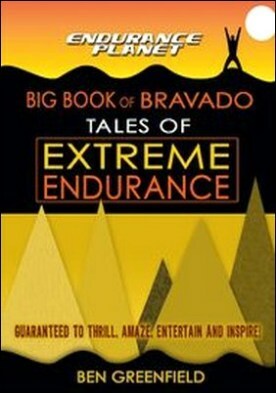 Brought to you by EndurancePlanet.com, the web’s top source of endurance sports fanaticism, this book is guaranteed to thrill, amaze, entertain and inspire.